Trump will soon be juggling as fast as he can. He and his White House team will be working on multiple deals, from defense spending to health care. And they will be sitting across the table from not one party but 535 independent actors—100 members of the Senate and 435 members of the House of Representatives. Trump often plays the Rolling Stones’ “You Can’t Always Get What You Want” at his rallies, and when it comes to Congress, the song is fitting. Even though Republicans hold majorities in both chambers, Trump’s path to getting what he wants is strewn with hazards. Senate rules allow the minority party—in this case, the Democrats—to thwart lots of deals with just 40 votes, so Trump will need to reach out to the likes of Chuck Schumer, the Senate minority leader and fellow New Yorker, who is under enormous pressure from progressives to resist every Trump entreaty. Much of the president’s agenda won’t please Republicans either; they aren’t even fond of his massive budget cuts. But the biggest obstacle Trump faces is math: His cuts need to pay for his massive tax reductions and defense spending—and that won’t be easy. So far, all that’s come out of the White House is a broad outline. 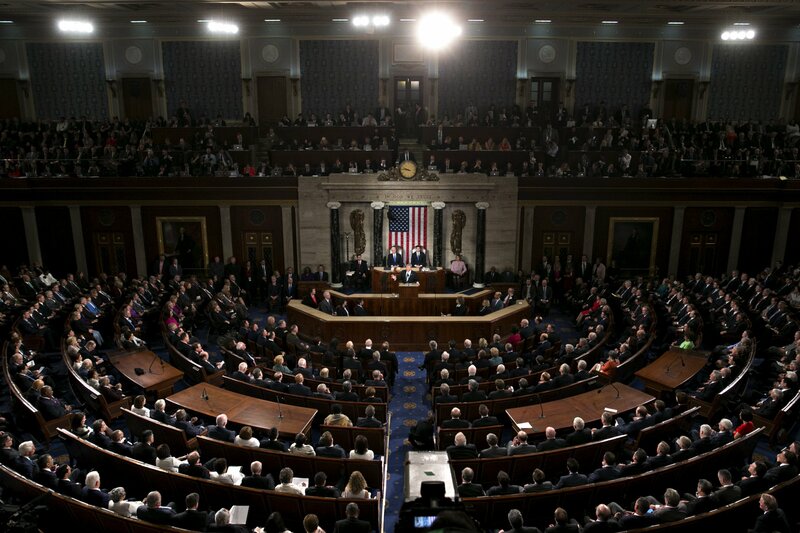 In March, the administration will release a slightly more detailed budget plan to Congress. But from where things stand, here’s the likelihood of Trump getting the deals he desires. As a candidate, Trump regularly said he’d replace the Affordable Care Act with “something so much better.” Of course, doing so is proving, “incredibly complicated,” as Trump recently put it. No kidding. The House will spend much of March considering the first tranche of legislation to change the U.S. health care system, which has already drawn opposition from conservative House Republicans who believe the approach is too gradual—as well as Democrats, and even some Republicans, who think it’s too abrupt. A centrist proposal from two Senate Republicans—Bill Cassidy of Louisiana, a physician, and Susan Collins of Maine—would effectively allow states to keep large portions of the ACA, but their bill is too moderate for the GOP-controlled House. Obamacare is likely to be picked at but not unwound, leaving what Trump calls a “disaster” very much in place. Throughout the campaign, Trump promised to rebuild the “decimated” U.S. military. Never mind that the U.S. spends more on defense than the next 11 highest-spending countries combined, or that America has overwhelming technological advantages. Still, Trump is likely to get a sizable hike in the defense budget. Military spending is popular in Congress, in part because the defense industry is spread out all over the country. If there’s one area where Trump has been a traditional Republican, it’s cutting taxes. The president has vowed to cut personal income taxes—which would offer the greatest benefits to the wealthiest Americans. He has also vowed to cut business taxes. Can he succeed? When it comes to the latter, he has a good chance. Democrats and Republicans disagree on specific deductions, but there’s been bipartisan agreement that U.S. business tax rates are too high and are causing too many American companies to leave their profits overseas. While Trump is planning to propose a massive tax bill that will include business and personal taxes, no such reform has made it through Congress since 1986. What’s likely to happen: Congress will pass a bill that meets the least political resistance—one that cuts business taxes but offers smaller changes on the personal side, such as creating new tax deductions for child care and health savings accounts. It’s not the tax nirvana of Republican dreams, but it’s likely to be a solid win. Programs for the poor have the weakest constituency, so look for cuts to Medicaid, the health care program for the indigent that Congress expanded under Obamacare, as well as the Supplemental Nutrition Assistance Program, also known as food stamps. Trump hasn’t unveiled specific cuts, but he’s likely to get what he seeks. He could have a harder time with programs that have a wealthier constituency, like the Corporation for Public Broadcasting, the National Endowment for the Arts, the National Endowment for the Humanities and others conservatives have long eyed for slashing. Despite his “America first” rhetoric, Trump will also have a harder time cutting budgets at the State Department and the Agency for International Development because the military, including Defense Secretary Jim Mattis, tends to support them. The Pentagon brass believes such soft power complements military strength, and Mattis will likely push for preserving it. Trump doesn’t have any legal say over how Congress chooses to investigate Moscow’s interference in the 2016 election. But the president has made it clear he doesn’t think there’s a scandal. He defended former National Security Adviser Mike Flynn’s December discussions with the Russian ambassador to the U.S., Sergey Kislyak. The president has also defended Attorney General Jeff Sessions’s meetings with the same ambassador during the campaign. Trump is likely to stymie an exhaustive inquiry from Congress or the Department of Justice, and despite the pressure on Congress to establish a special select investigative committee or an independent, 9/11-style commission, Republican leaders are holding firm. The eventual probe is likely to be a much more limited inquiry from the intelligence committees in both houses. That benefits Trump because such a hearing would be largely secret and spare the president a lengthy public examination that might distract from his legislative agenda or uncover malfeasance. And while Sessions has recused himself from dealing with the Russian matter, the Justice Department is unlikely to appoint a special prosecutor along the lines of Kenneth Starr, who led the Whitewater crusade against Bill Clinton. That would be a victory for Trump.